Plantronics, Inc. (now Poly), a global communications company, announced that their x50 Series (including VVX250, 350, and 450) OBi edition IP phones are now certified for Google Voice. 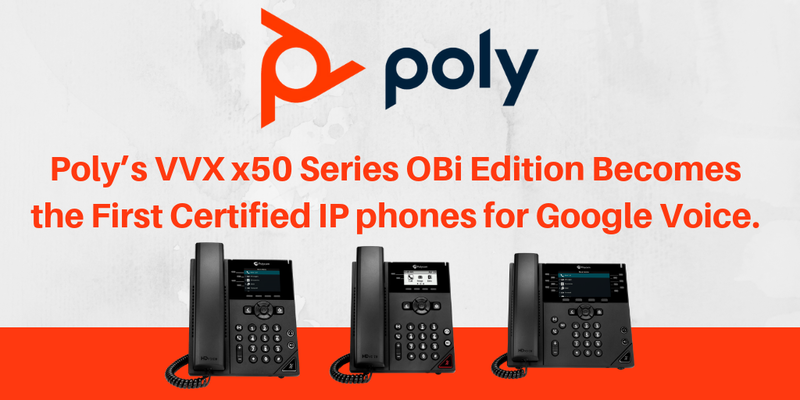 These are the first certified IP phones for Google Voice for G Suit as a result of the new partnership between Poly and Google Cloud. The VVX x50 Series OBi Edition phones are available now and will be interoperable with Google Voice in select countries. To learn more about the VVX x50 Series OBi edition, visit our website or contact one of our VoIP consultants at 1-800-398-8647 today!